Are you sure your high value home is fully insured? 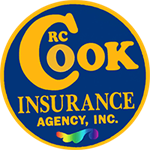 Visit RC Cook Insurance to make sure you are getting the best coverage for the lowest amount. Call us 330-296-3628. You'll be surprised how affordable it is to cover your whole house with a Ravenna high value home policy. Ravenna High value home insurance is available to most every homeowner that is concerned about covered replacement values. Typically, homes that are worth upwards of $200,000 should consider this insurance.